The full team (Tim, Shawn, Nick and I) made it to this conference in Vienna, which focused on all kinds of alternative economic mechanisms and grass roots community organisation. Of particular interest to us is the Tauschring movement, which is the German equivalent of LETS. 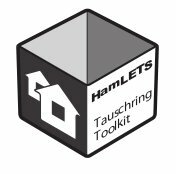 With an ad hoc 'Tauschring Toolkit' brand we wowed the right people by showing them the software they have been envisaging for years. We were also jolly pleased to be invited to a Sunday Morning round table organised by the Austrian Tauschrings, and as a consequence, our Drupal solution will go head to head with Cyclos at their tech working group report in a couple of months. This was just one of several invitations to attend key meetings or conferences. We made contacts with key people in Hungary and Germany, and a vision for how we might multiplyy our efforts by setting up national platforms emerged. We don't have time to install and configure Drupal for the hundreds of organisations that want it. But what we can do is train the right people in each country to a certain level of Drupal competance and currency configuration competance. Those offices then would become branches, or cooperative members who share all they do, and who funnel resources into budgets to pay for ongoing development. There are many benefits to be had from these local economies working together, even apart from software! One need that emerged is the need for commuinities to search each others' offers and wants directories, and to resolve the problem of value being stuck in the locality of one currency.